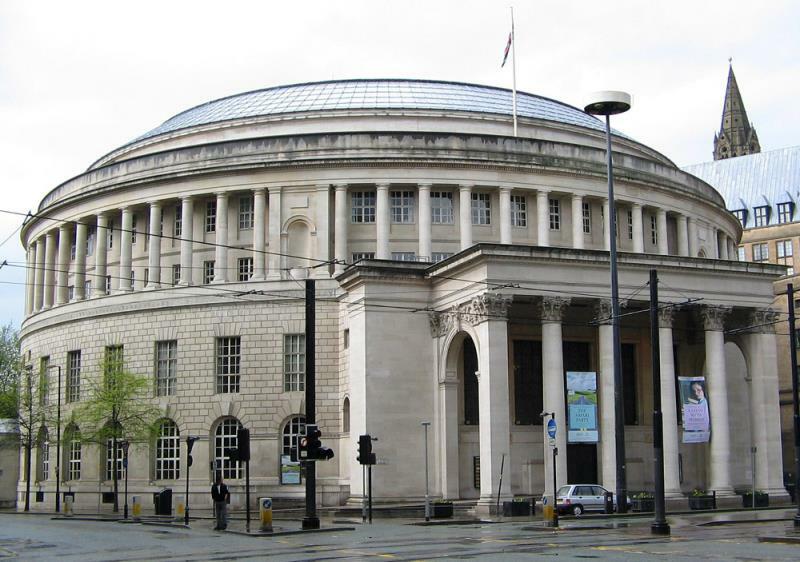 MANCHESTER, ENGLAND – There’s so much more to England than London, and during my summer visit to the country this year, I was keen to visit the city of Manchester, at the heart of the Greater Manchester region which is Britain’s second most populous urban area. My three night visit proved to be the perfect length to discover the perhaps surprising number of cultural and culinary options the city offers, and convinced me that the city is well worth including on your itinerary if you are planning a trip to the United Kingdom. It’s easy to get to Manchester; in fact the international airport located just to the south of the city offers flights to and from over 220 places around the world, on more than 100 airlines. A sizeable number of them are in North America, including Toronto, New York, Chicago, Miami, Orlando, Newark, Washington DC, Atlanta, Philadelphia, and Cancun. Starting in 2016, Boston and Los Angeles will be added to the list. For travelers from North America, it can make a great starting or ending point of a British or European multi-city tour, when combined with flights to or from another European gateway at the other end of the trip. After you’ve arrived at the airport, the train to the city center takes as little as 15 minutes; and at £4.20 each way, it won’t hurt your wallet either. If you’re already in the UK, the airport offers flights from around the country; coming from London it’s even easier to take the train, and a short 2 hours and 15 minute ride from London Euston station to the heart of Manchester. Once in Manchester, there’s a vast choice of hotels, guesthouses, and private rentals available to suit all budgets and tastes. 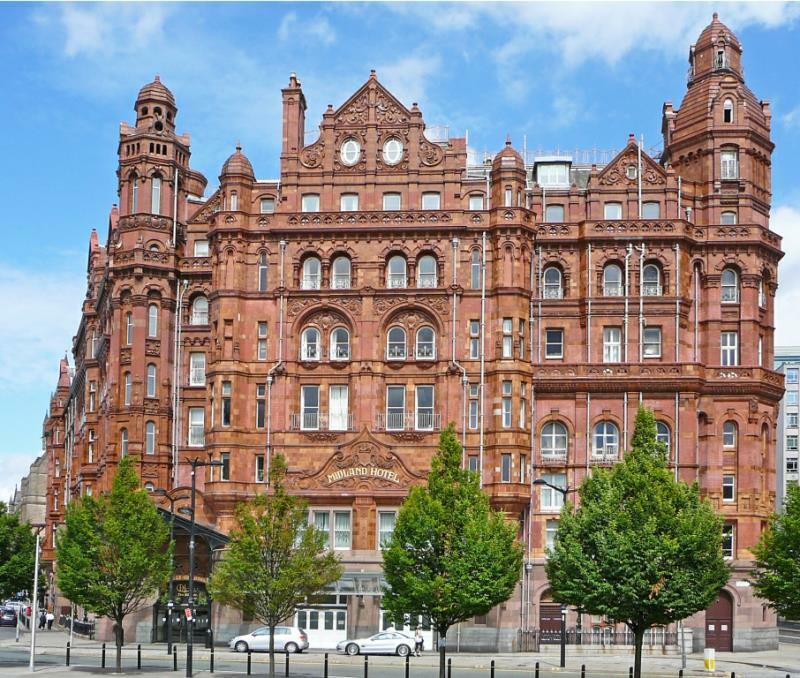 If you’re looking for some Edwardian glamor, there’s The Midland Hotel; an iconic landmark building right in the center of everything. It’s an attraction in its own right, and worth a visit, even if you don’t stay there. For a wide choice of room and apartment rentals, Airbnb is a great option. 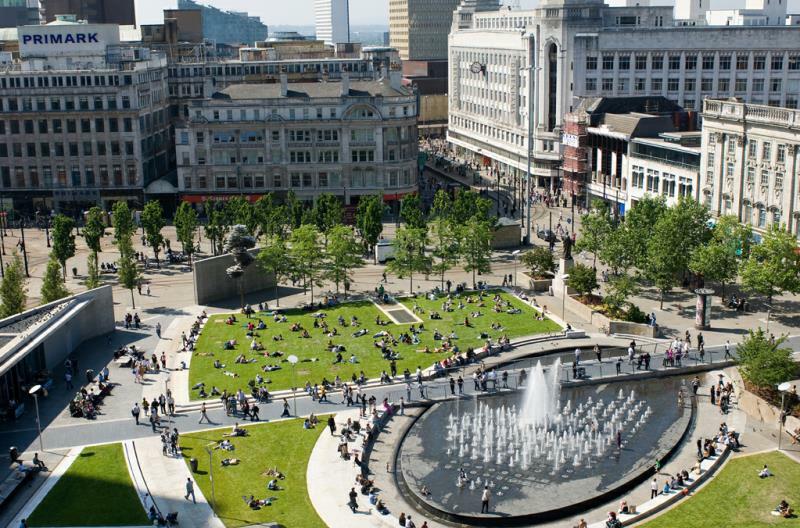 The great thing about central Manchester is that all of the city center attractions are within walking distance or a short bus or taxi ride away, so as long as you pick somewhere central, it doesn’t really matter exactly where it is. 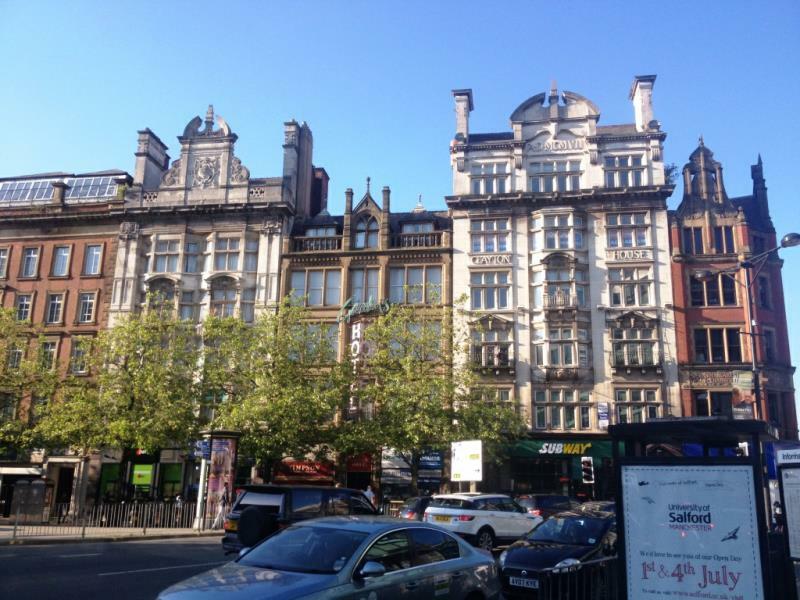 I stayed at The Portland Hotel, which offers 204 rooms in the heart of the city center, overlooking Piccadilly Gardens, and a short walk from Manchester Piccadilly station. The compact yet comfortable room was a relaxing place to sleep, and the excellent breakfast provided a filling start to each day’s explorations. 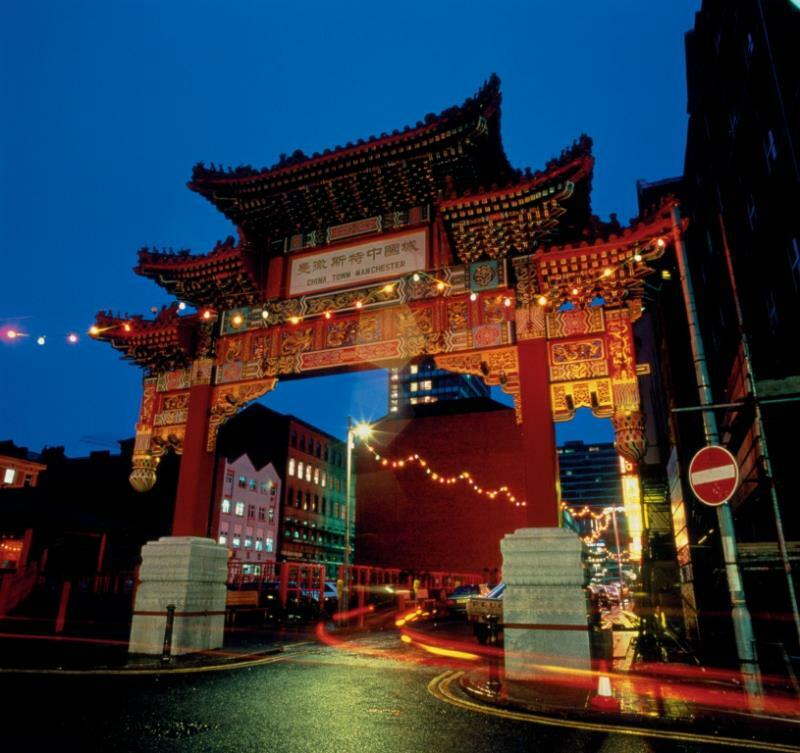 Talking of explorations, a walking tour of central Manchester’s different neighborhoods is a brilliant way to orient yourself with the city and its many faces, and highly recommended as soon as possible after you arrive. 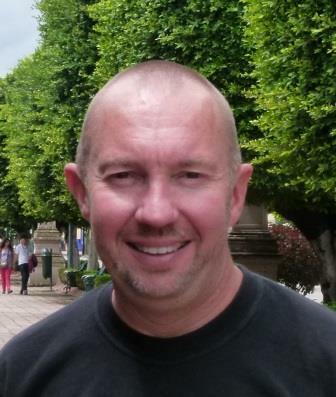 I enjoyed a two hour city overview tour with professional guide Andrew F. Derbyshire, who offers a variety of tours and services to visitors, and speaks fluent Spanish; a benefit for visitors from Latin America. 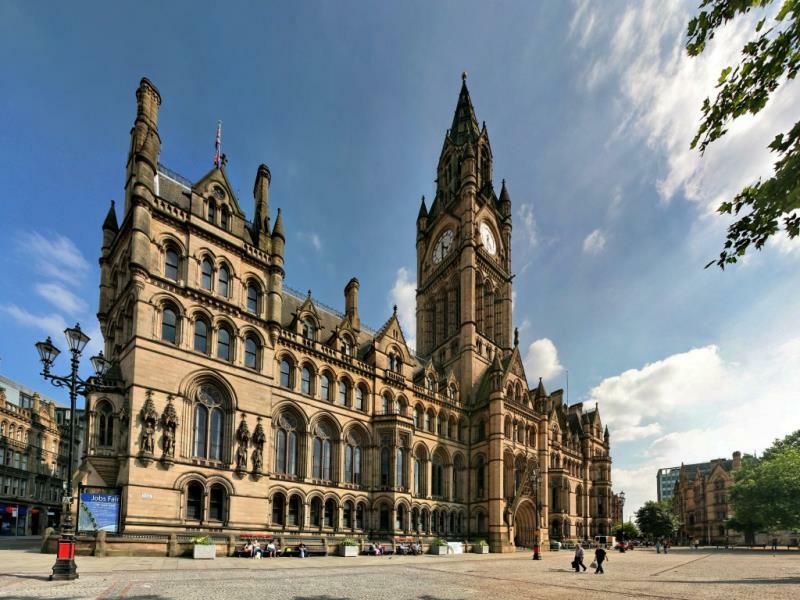 As well as walking through the different quarters (neighborhoods) of central Manchester, we visited the cathedral and the spectacular neo-gothic style Town Hall, ceremonial headquarters of the City Council, both of which should be on your “must see” list. Andrew’s enthusiasm for the city is infectious, his knowledge extensive, and after two hours in his company, I felt enriched and anxious to explore more deeply. Much of Manchester's history is concerned with textile manufacture during the Industrial Revolution. The great majority of cotton spinning took place in the towns of south Lancashire and north Cheshire, and Manchester was for a time the most productive center of cotton processing, and later the world's largest marketplace for cotton goods. In fact, Manchester was dubbed "Cottonopolis" during the Victorian era. The number of cotton mills reached a peak of 108 in 1853. Evidence of the mills can still be seen around the city, with many impressive Victorian structures still remaining. The city center is divided into 10 different neighborhoods, each with its own distinct character. These include the Central Retail District (shopaholics should head directly there), Chinatown (second largest Chinatown in the UK), the Northern Quarter (Manchester’s creative urban heart, with independent fashion stores, music stores, cafés and bars), Castlefield (quieter with waterside pubs and bars) and Spinningfields (a newly developed area combining retail, leisure, business and public spaces). It’s easy to get around on foot, however if you can’t, or don’t want to walk, three different free Metroshuttle bus routes run across the city center on a regular schedule from 7am to 7pm. Just hop on or off at any stop. There’s also a tram service called the Metrolink, providing access to places slightly out of town such as Old Trafford or Salford Quays. Tickets for the trams can be purchased at machines before boarding. 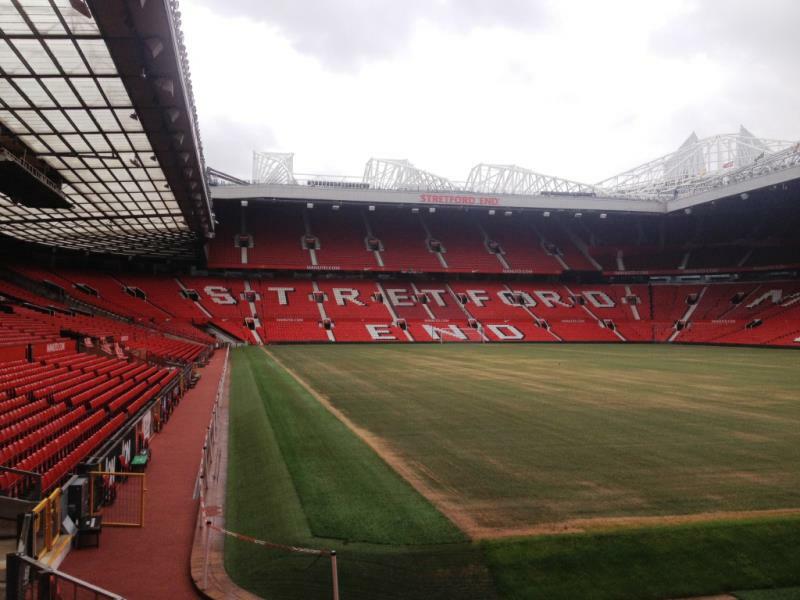 If you are a football (soccer) fan, then no visit to Manchester would be complete without a tour of Manchester United’s Old Trafford stadium. 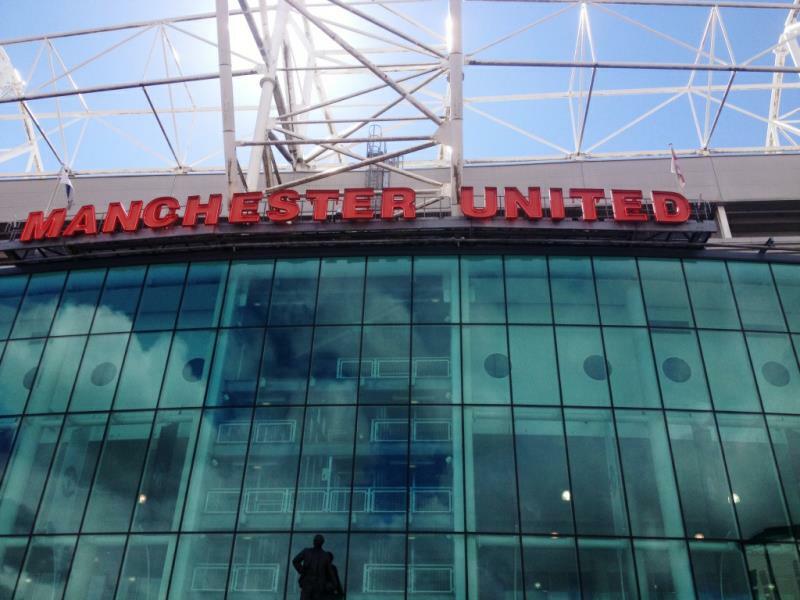 It’s a behind the scenes look at the entire stadium, which takes you everywhere from the Sir Alex Ferguson stand to the atmosphere filled home team’s dressing room, and includes a walk through the players’ tunnel to the pitch, following in the footsteps of many legends. 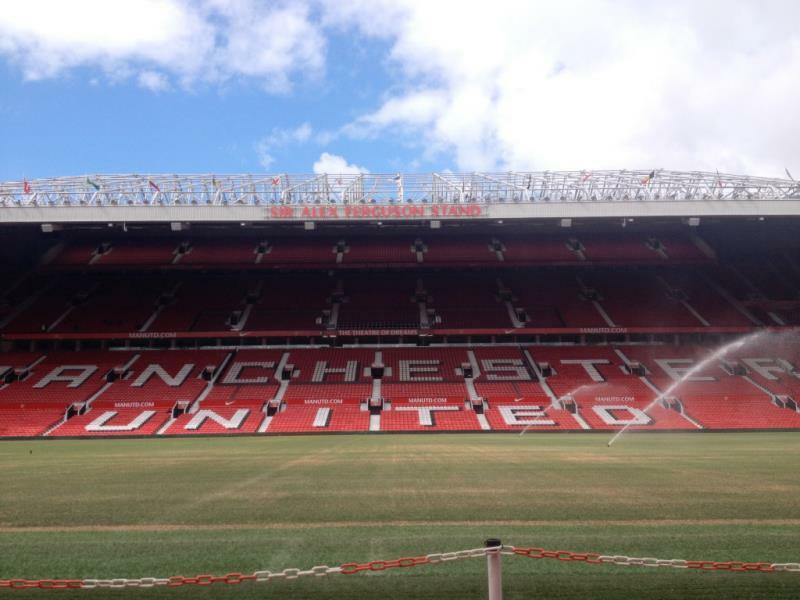 Tours last around 80 minutes, and meet inside the Manchester United Museum, so it’s well worth arriving an hour or so before the tour to allow time to browse the fascinating displays of memorabilia and visit the trophy room. 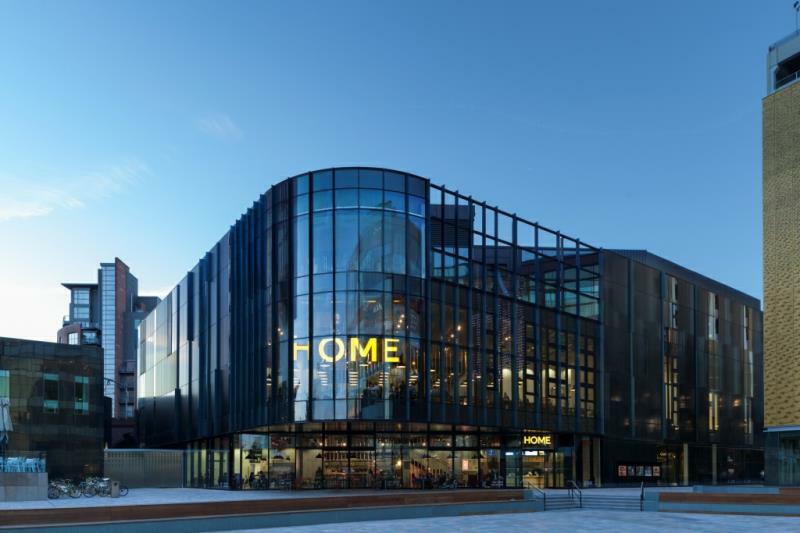 For an evening of culture, check out the current program on offer at HOME – Manchester’s stunning new venue formed by the merger of two of the city’s best-loved arts organizations, Cornerhouse and the Library Theatre Company. Two stages offer a platform for new commissioned work, while 5 screens provide challenging, independent, provoking film works. An excellent restaurant offers salads, pizzas and light meals, as well as substantial main dishes. 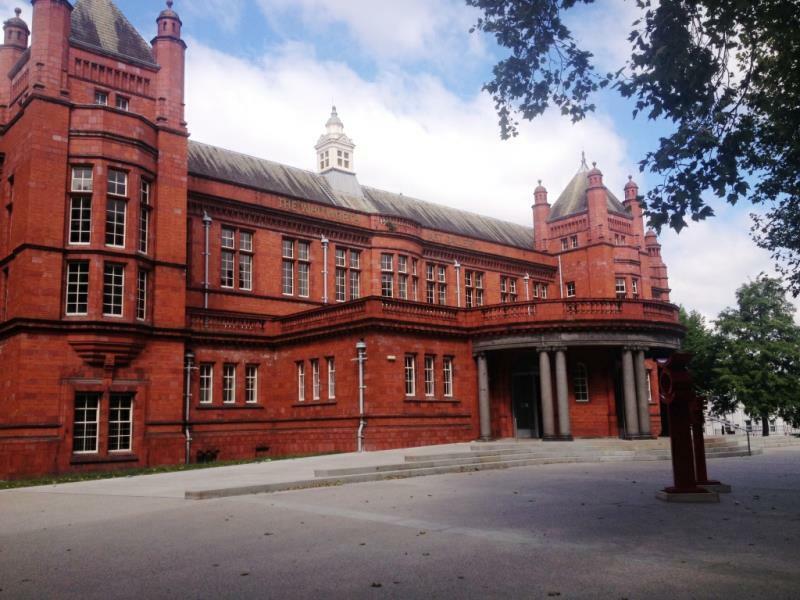 The Whitworth art gallery is located on Oxford Road, a pleasant walk or short taxi ride from the city center, and recently reopened after major work to double the public available space. 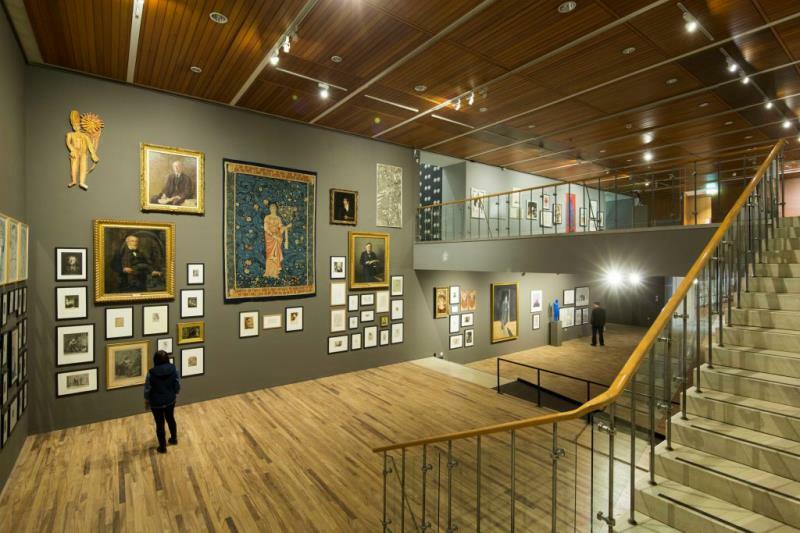 It features rotating major exhibitions, as well as the very best of the Whitworth’s own outstanding collection. The spectacular gallery café in the trees provides refreshments if you need a break during your visit. Best of all, as with many of Manchester’s attractions, there is no charge to enter the gallery. 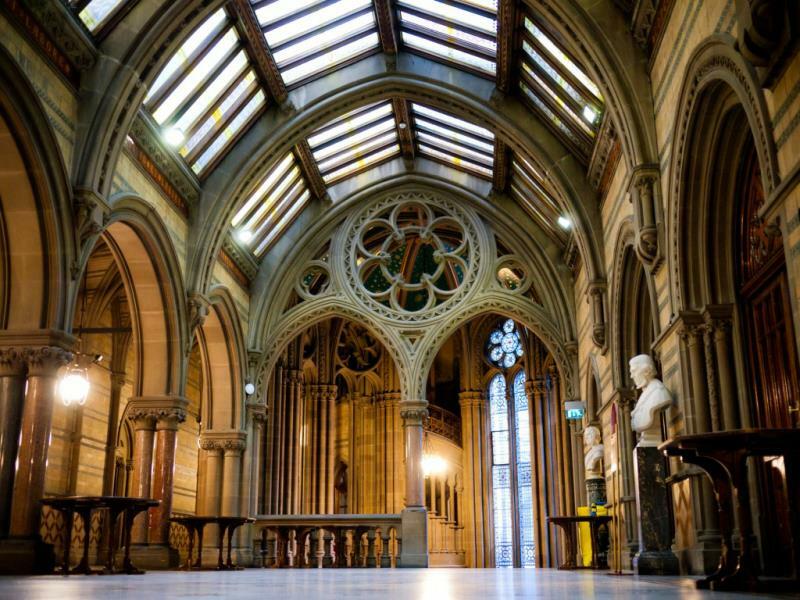 On your way back up Oxford Road, why not stop at the Manchester Museum, where you can discover the natural world in 15 galleries full of fascinating displays? There’s a fossilized Tyrannosaurus Rex, as well as changing exhibitions and a year-round program of activities. The cavernous Museum of Science and Industry is a major attraction in the city. 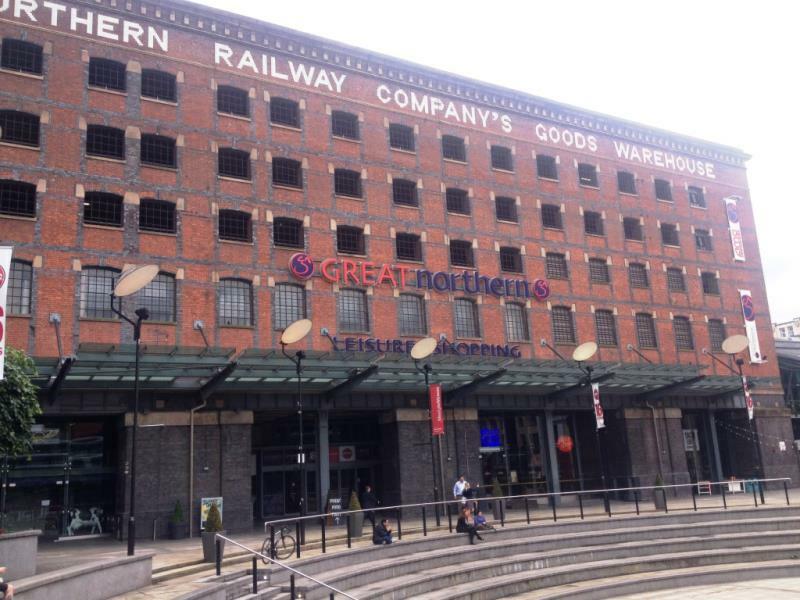 Situated in one of the oldest surviving passenger railway buildings in the world, it tells the story of the history, science, and industry of Manchester – which was after all the world’s first industrial city. It’s a great option for all the family, especially if the weather is not suited for outdoor activities. If you fancy resting for a while, why not drop in to the recently reopened Manchester Central Library? Known as “the city’s living room” and a stunning piece of architecture in itself, it offers an opportunity to relax and unwind while being inspired in new spaces such as the Henry Watson Music Library. There’s a café, and free Wi-Fi, making it a great option for having a coffee and checking your emails while on the go in the city. Aviation enthusiasts should plan to spend an hour or two at the Runway Visitors Park, located at the perimeter of Manchester Airport. Raised viewing areas provide a 180 degree view over the airport, while tours can be booked to see Concorde G-BOAC, once the flagship of the British Airways fleet. Entrance to the park is free – there is a charge for car parking and for guided tours of the Concorde hangar. 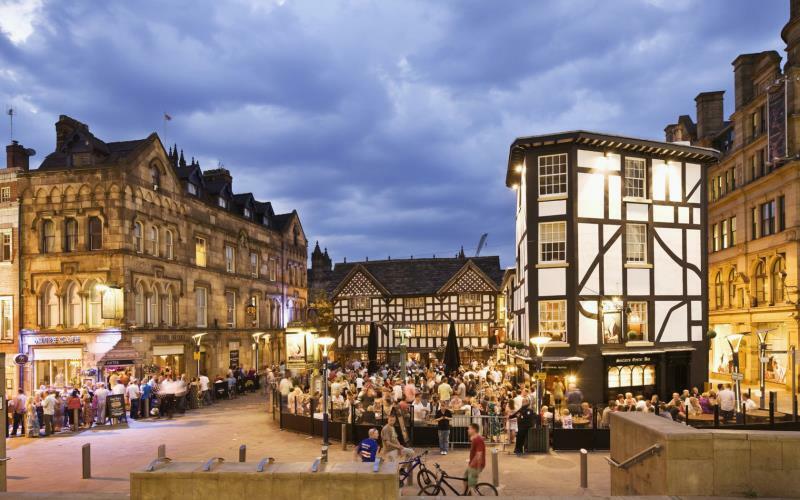 When it’s time to eat and drink, Manchester certainly delivers a vast array of culinary choices, and is fast developing as a “foodie” destination. The Spinningfields area and the Northern Quarter are especially rich pickings for culinary distractions, featuring options such as Malaysian restaurant Ning (in the Northern Quarter) and Ibérica (in Spinningfields) where I enjoyed an excellent lunch. The Corn Exchange, a grade II listed building and former shopping center is currently reopening following a multi-million pound redevelopment to transform the space into a culinary haven. Once fully open, restaurants will include flagship tenant Wahaca, as well as Italian restaurant Vapiano, and Cabana, a Brazilian churrascaria. Lively and unique bars in the Northern Quarter include Terrace and Kosmanaught, while over in Spinningfields, The Oast House offers a new take on the old style pub, and is housed in an actual hop kiln. For a sumptuous experience, The Alchemist, Manchester House, and Grand Pacific provide some of the best cocktails in town. 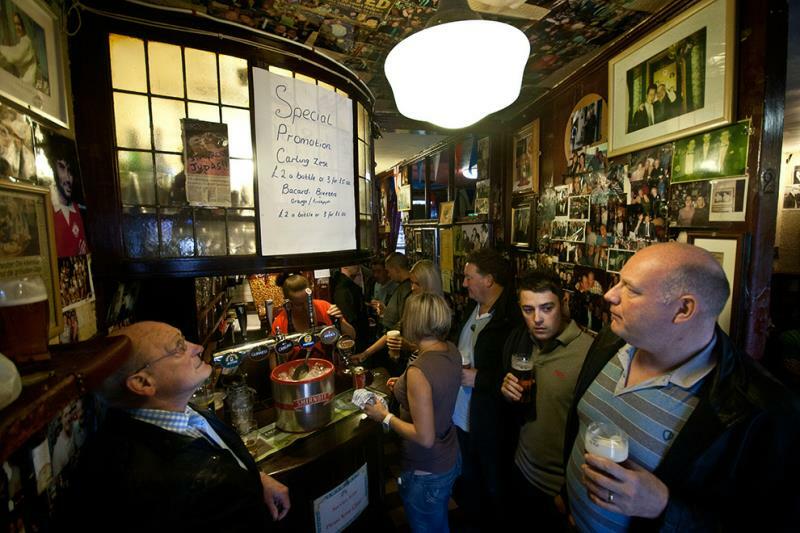 Or for something totally different, drop in to the Circus Tavern, a miniscule pub on Portland Street, which claims to be the “Smallest Bar in Europe”. Manchester is a city on its way up, a far cry from the gritty industrial place it used to be. It’s a great time to visit for a few days of city exploration, or for longer as a base from which to explore the surrounding towns, cities, and spectacular countryside. Did you know? Manchester’s Busy Bee symbol was adopted by the city in the 19th century to symbolize the industrious nature of the city and its people. It can be found on much of Manchester’s street furniture, as well as in the mosaic floor at the Town Hall. Stewart Mandy visited Manchester as a guest of Marketing Manchester.